A blog is an online diary where you can share your opinions, thoughts, and ideas efficiently & publish valued information, news or updates daily. There are more than 400 millions of unofficial blogs all over the world published already in the blogging industry but only a few of them know about how to improve blog reputation and become a successful blogger. More than 2 millions of blog pages publishing per day for making money online, but only a few of them know about the strategies for building a successful blog website. Each blog and their posts talking about various topics. There are plenty of advantages & disadvantages of blogging, but I have done a little bit of work for you & sharing most important blogging tips derived from 20 lessons I’ve learned from 10 years of blogging. You can consider these successful blogging tips as a blogging handbook to get succeed in the blogging journey. Publishing new, unique and engaging content to blog is essential for better SEO and building organic traffic. More importantly, it builds trust and relationship with your existing & coming new readers. I agree that it requires time and patience to grow in the blogosphere, but reading other blogs published by successful bloggers helps you a lot. Also, if you haven’t read 'Guide: What is Blog? Who is Blogger? How Blogging Works? How to Start A Successful Blog // Blogging Tips', I highly recommend checking it out before going any further. GOOGLE PANDA UPDATES: Facts & Fixes in Google Broad Core Search Algorithm Updates 2018 | Sudden Drop in Website Traffic? 1. Every blog post must have an attention-grabbing title to attract your reader's attention. 2. Choose the best blog topics for your audience. 3. Every blog post that you are going to publish must be unique. 4. Write with the passion that your readers will adore. 5. Structure your page with an introduction, a paragraph, and a conclusion effectively. 6. Used to share your right opinions, thoughts, and better ideas in own words with detailed paragraphs given inside the main part of the post. 7. Find & share quality content that will be viral on social media. 8. REMEMBER: "Content is king". 9. You must publish a post every day to build a strong writing habit. 10. Use microblogging sites like Twitter, Facebook to advertise your published pages. 11. Find your targetted audience & create the content that connects to them. 12. Remove broken links now. 13. Earn backlinks without asking or begging. 14. Edit/remove the external resources, links or unwanted ads from the blog. 15. Have a habit to reply to each comment and frequently asked questions to increase your page views per Visitor by 25%. 16. Format your blog posts with headings, bullet points for better readability and SEO. 17. Use a friendly tone in your writing. 18. Find out what readers want and influence them to reply to your page. 19. Be wise for writing a response to reviewers/readers/commentators. 20. Write on the topic, don't tell the story. 21. If you can't find something better to reply to your comments about something, it would be better not to say anything at all. 22. Your own address, location, contact details, Card number you should not include on the post. 23. Never depend on the single traffic source for your blog and business too. 24. You should audit and decrease bounce rate. 25. Add a forum to your blog for extra user engagement. 26. Invest time to prioritize social media marketing. 27. Moderate your every comment and report to stop spams. 29. Changing your blog name is not a good option for your rebranding. 30. Choose an amazing blog name that you won't regret. 31. Choose the best possible domain name. 32. Register your own domain name. 33. Have a meaningful and memorable domain name. 34. Your domain name must be short. 35. Purchase a domain name related to your subject of interest. 36. Your domain name should not be the copy of your competitor. 37. Avoid spelling mistakes in a domain name or any tricky titles. 38. Find and stick with your own writing style and voice. 39. Research & plan to improve every page you write for your blog. 40. Write catchy headlines and blog titles that your readers can't ignore. 41. Become the central place for your audience by talking about yourself in your content. 42. Avoid the dull article & write enthusiastically till the end. 43. Proofread your articles before publishing to make it shareable. 44. Focus on publishing short and scannable content. 45. You must add targetted keywords inside the page content. 46. Follow latest SEO techniques that'll double your organic traffic. 47. 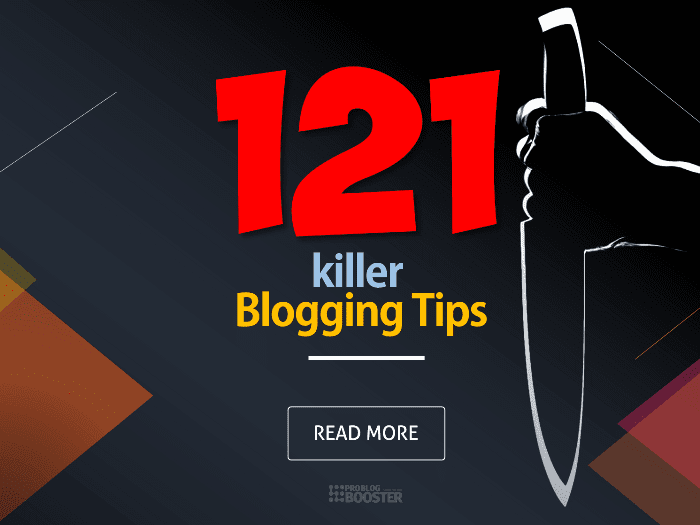 Don't forget to comment & write responses on other's blogs & become a better blogger. 48. If there are too many, you must remove those annoying ads from the page. 49. Use blogging related hashtags while promotions to boost engagement on your blog. 51. Create a framework for your content writing. 52. You need to engage and build rapport with the readers. 53. Interact with other bloggers but related ones. 54. Share your pages regularly. 55. Don’t overthink your page it’s a blog, not a dissertation. 56. Build an active social media community for your blog. 57. Review, edit & republish your old pages. 58. Be more attentive to capture our audience’s attention. 59. Finding your voice helps to form your brand. 60. Create a blog posting schedule. 61. Customize and optimize your blog. 62. Announce your blog to the world. 64. Experiment with new post formats, diversify your content creation to engage more people. 65. Choose trending blog topics your readers will actually like to read. 66. Follow blogging best practices. 67. Be persistent and fair in your posts. 68. Create a social sharing checklist. 69. Perform keyword research & analysis while writing articles. 70. Always ends with 'Call to Action' to encourage visitors to revisit. 71. Be a guest blogger to grow your blog reputation & to get more audience. 72. Invest in web development, UX design to improve your blog experience. 73. Make responsive mobile-friendly template design. 74. Install Google Analytics to track conversations & results. 75. Always add images, graphics or videos that support your subject. 76. Create a unique image for your social media sharing posts. 77. Add social sharing buttons in each blog page. 78. Follow advice from professional bloggers. 79. Optimize posting timing & frequency. 80. Publish your blog posts on Monday or Thursday mornings. 81. Send a newsletter to your subscribers with the latest blog post. 82. Submit your blog post to bookmarking sites for better blog promotion. 83. Have a spare blog post ready for publication. 84. You must know, it’s all about the promotion, not just creation. 85. Do not give up on your blog. 86. Regularly track your site performance with website optimization test tools. 87. Write for your readers not for SEO. 88. Optimize your title tags, meta descriptions, first 3 words of the links for better SEO. 89. Optimize your images for search engine traffic. 90. Follow on-page SEO techniques and avoid novice SEO mistakes. 91. Avoid using STOP WORDS warned by Google. 93. Add custom 'ADS.TXT' file in your website/blog. Read: What’s "ADS.TXT"? How To Add Ads.txt To Blogger/WordPress In 2 Min? 94. Keep an eye on the Google Panda algorithm updates. 95. Declare language in HTML. 96. Including keywords in a domain name. 97. The title page should contain a clear, concise and informative title of the article. 98. Provide backlinks to authority sites. 100. Avoid coping, don’t duplicate the content. 101. Your blog template has to be an SEO friendly. 102. Disable plugins & remove default widgets from the blog site. 103. Get a custom email with your own domain name ID. 104. Get fast website loading speed. 105. Tweet your pages on Twitter. 106. Publish your links on Facebook. 107. Run a successful contest on your blog. 108. Run a giveaway on the festive season. 109. Follow best security practices to make your blog safe. 110. Backup your blog regularly. 111. Not just a blogging, but take care of your eye, backbone, & overall health. 113. Add videos to your blog posts to increase engagement. 114. Add dofollow to internal and nofollow to external links. 115. List the most popular posts. 116. Find and follow the best blogs in your niche. 117. Interlink your pages for search engine and easy navigation. 118. Ask the audience about what they want in the next post. 119. Publish decent 'About me' & 'Contact me' pages. 120. Stop caring about haters and critics, appreciate supporters. 121. STAY MOTIVATED FOR BLOGGING.